Italy is home to much of the world's great historic art and architecture, most of it is displayed in sumptuous galleries and iconic museums. Lesser known is the country's contemporary art scene, which is vibrant and features exhibitions and permanent collections housed in architecturally avant garde spaces or open air venues. Rome has led the way with its MAXXI and MACRO museums, and Venice hosts one of the most important contemporary art events in the world every two years, the Art Biennale. 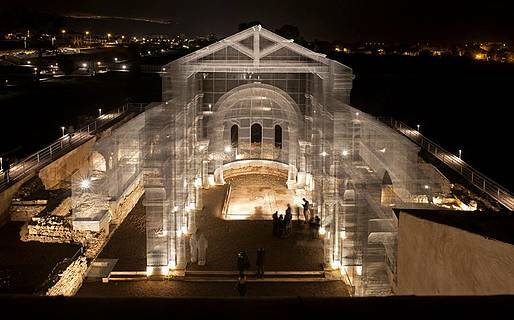 In the archaeological park of Siponto in the southern region of Puglia, Italian artist Edoardo Tresoldi has constructed a monumental wire mesh installation that simulates the early Christian Romanesque basilica that once stood on this spot before being destroyed in a series of earthquakes in the 13th century. This vast permanent work has a ghostly airy and transparent feel, with layers of metal mesh intersecting and overlapping to retrace the lines of the destroyed archways, columns and dome in a soaring sculptural form which visitors can explore. The installation, which blends the ancient and contemporary, is dramatically lit by night, making is seem to float above the ruins of the original church below. 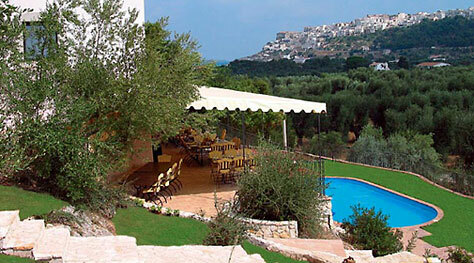 How to visit: Stay in the pretty coastal towns of Peschici or Vieste in the pristine Gargano National Park and take a day trip to the Parco Archeologico di Siponto near Manfredonia, open daily 10 am - 1 pm and 5 pm - 9 pm. Another monumental outdoor installation garnering attention in Italy this year is South African artist William Kentridge's huge mural covering a 500 meter section of the retaining wall along Rome's Tiber River, which can be seen be walking along the "Lungotevere" either from the street level above or at the water's edge below. The mural, completed in April, depicts important Italian figures from the past and present, including subjects as diverse as Roman emperors and modern writer and director Pier Paolo Pasolini. Created by washing away decades of grime around shapes traced by oversized stencils with power-hoses, the shadow-puppet outlines of the artist's original charcoal sketch will gradually fade over time. 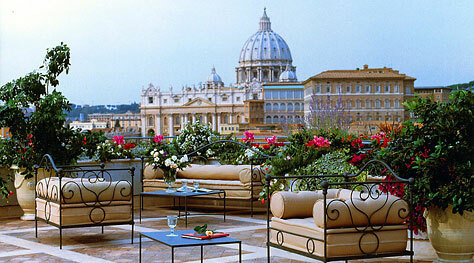 How to visit: The river walk along the Tiber in Rome is open to the public day and night; the work is best seen by day, however, and occupies the stretch of river known as Piazza Tevere between Ponte Sisto and Ponte Mazzini. 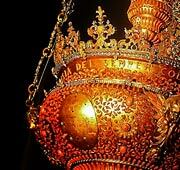 For more information, visit the website. 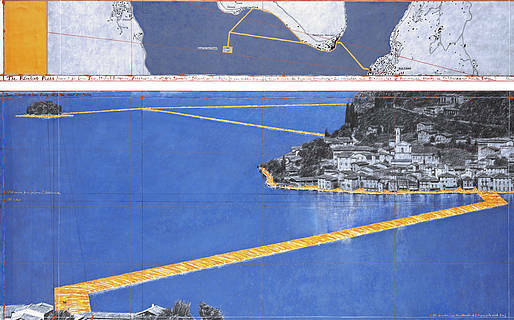 The most anticipated event on Italy's contemporary art calendar in 2016 is by far is Christo's "Floating Piers" installation, the first after the death of his collaborator and wife, running from June 18th to July 3rd on Lake Iseo in the northern region of Lombardy and expected to attract half a million visitors. This internationally acclaimed project is a series of floating walkways covered in bright yellow nylon and open to visitors, who can walk above the surface of the water from the town of Sulzano on the shore to the tiny lake islands of Monte Isola and San Paolo. 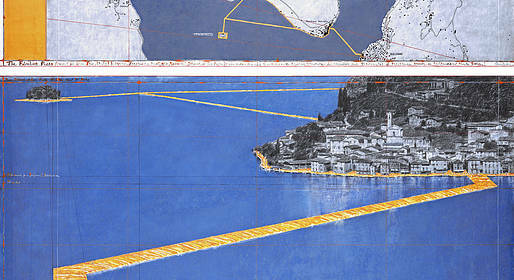 The walkways will be constructed by a modular system of 200,000 polyethylene cubes covered with 70,000 square meters of specially woven fabric from Germany; about 3 kilometers of the piers will float on the surface of the lake, and another 1.5 kilometers of fabric will cover streets in Sulzano and Peschiera Maraglio. 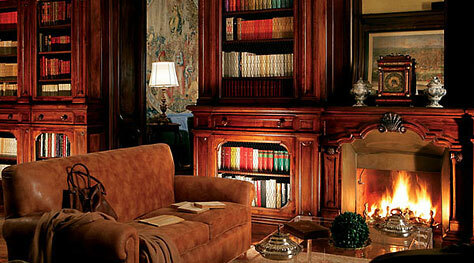 How to visit: Given the number of visitors expected from nearby Milan, your best bet may be an organized tour. Milan Experience Tours' "The Floating Piers Tour" offers a guided visit to the installation on Lake Iseo. For more information, visit the website.